My second activation of the Franklin – Gordon Wild Rivers National Park took place as a morning session at the site of the Gordon Dam before leaving the area to travel to Bruny Island. Eight contacts were enjoyed. 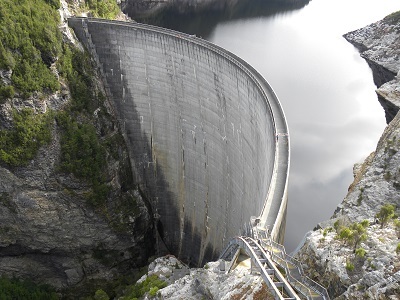 My first contact was with VK5HS, Ivan; VK5ZBD, Greg; VK5KGP, Graham; VK7OB/P7 at Penstock Lagoon in Central Tasmania; VK5KC, David; VK5TW, Trevor; VK3LY, Bill and VK5NJ, John.